Join leader Star-Lord, along with all the Guardians of the Galaxy characters such as Drax the Destroyer, Gamora, Groot, and Rocket Raccoon, as they battle to protect the universe from threats from across space. 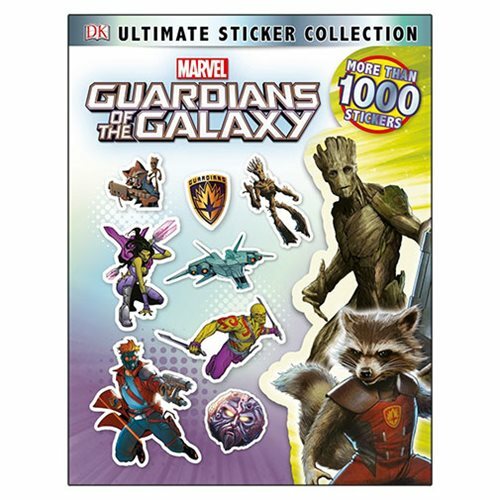 The Marvel's Guardians of the Galaxy Ultimate Sticker Collection Paperback Book contains more than 1,000 easy-to-peel stickers and is perfect for fans of Marvel comics. The 96 page book measures about 11 9/10-inches tall x 8 3/5-inches wide.